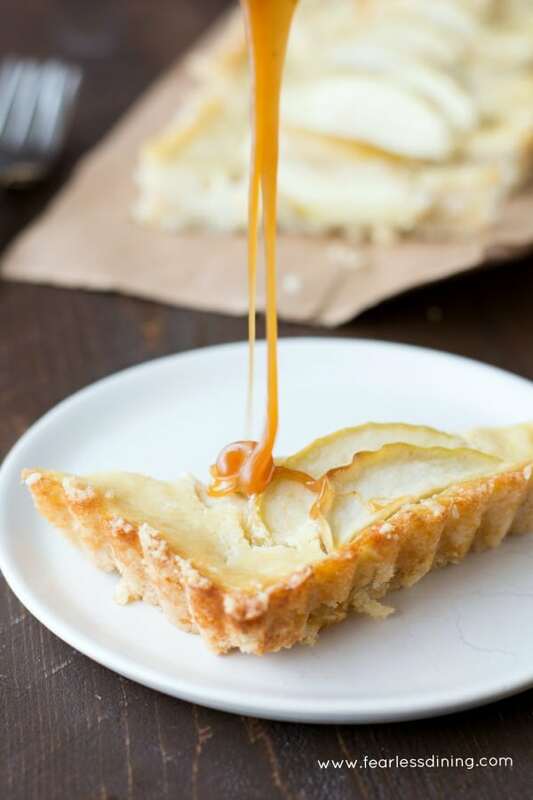 Get ready to drool because this creamy gluten free apple tart with caramel and vanilla custard is that good. 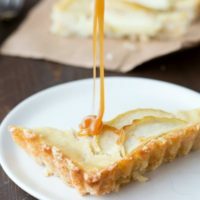 Tart fresh apples collide with creamy custard and gooey caramel to make an awesome gluten free tart. 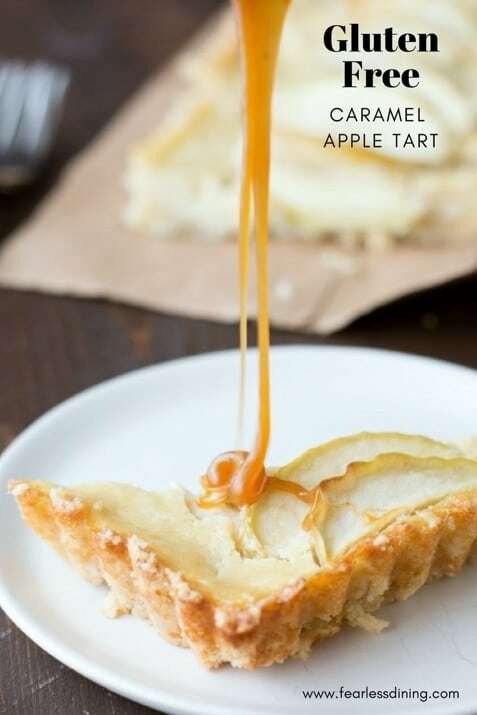 This tart is perfect for anyone who loves apples and caramel. 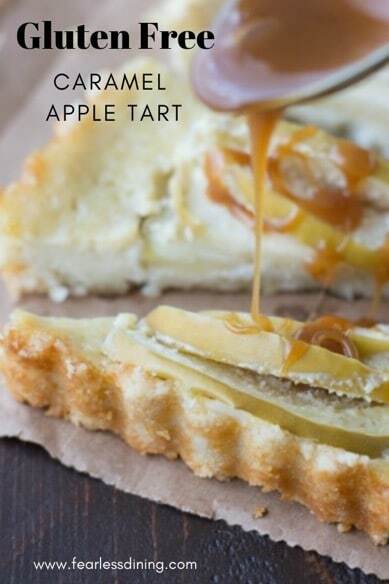 If you love sweet and savory apple recipes. Check out my best gluten free apple recipes on the blog. If you love caramel and apples, this gluten free apple tart recipe will become one of your favorites. This recipe is sort of due to a snafu. A miscommunication, or crossing of wires. In our house, I am the primary grocery buyer. Walking through the aisles, seeing what is in season is my thing. I can spend an hour in our market :-). I am a self-proclaimed food geek I guess. This week, I bought apples, and so did Mr. Fearless Dining. Our teens are big fruit eaters, but two giant bags of apples? I needed a plan to use some up quickly! Because we have so many apples, I may make this Gluten Free Caramel Apple Cake, and maybe these Gluten Free Apple Crisp Overnight Oats too. And if my kids are really helpful around the house this week, I may make these Paleo Cinnamon Apple Donuts! That should take me down to just one big bag of apples left, which will be perfect for school lunches this week. Creamy custard is what makes this tart special. It is very easy to make the custard filling. It can also double as a pastry cream as it is thick and delicious. This vanilla custard tart has an almond flour and coconut crust. It is light in flavor but holds up well to the moistness of this tart really well. You can try different gluten free crust recipes out on this tart. I suspect they will all be amazing. This gluten free graham cracker crust would add a fun flavor to the caramel and apples. 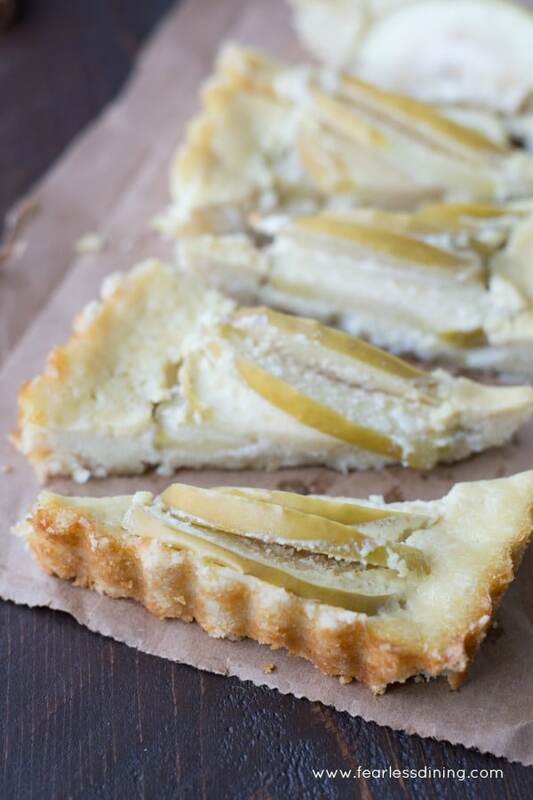 You can even use this gluten free pie crust recipe for this tart! 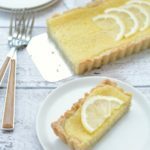 This gluten free tart is very easy to make! 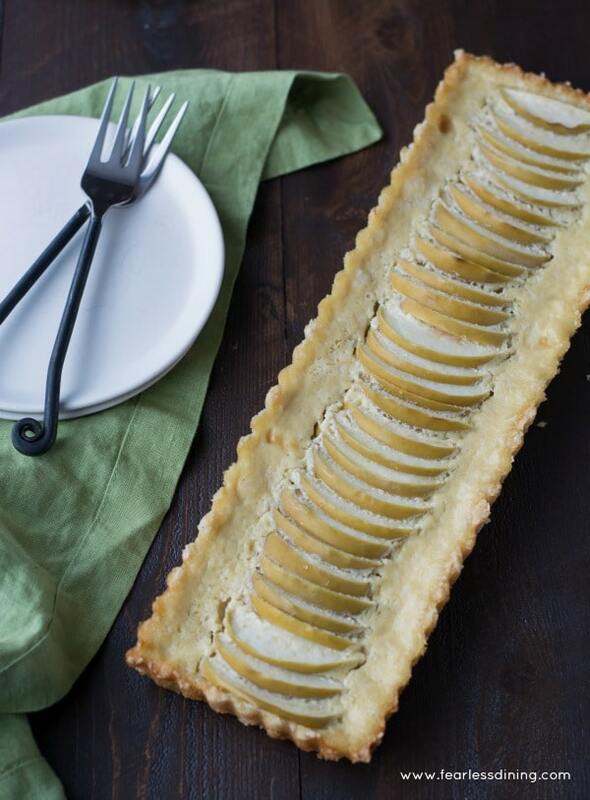 Just keep reading to see how to make this gluten free apple tart. Your family will definitely thank you!! To make the gluten free crust, add the crust ingredients and mix well. Use a whisk to blend. Spray the tart pan with coconut oil and press the tart crust down into the pan. 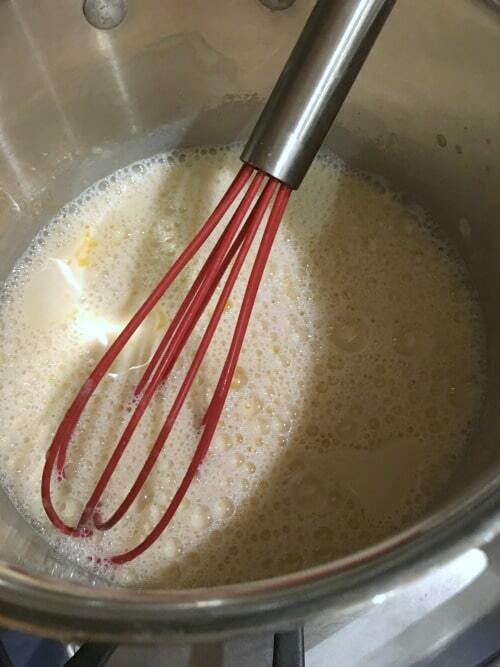 Whisk the wet custard ingredients and cook over low heat until it thickens. Take the crust mixture and press into a tart pan. Pour the custard into the crust and lay thinly sliced apples in the custard. Bake at 350F degree for 30-35 minutes. Remove from the oven and allow to cool. Slice and drench in caramel if you like :-). Can you make this Gluten Free Tart Nut Free? You can definitely make the gluten free tart crust nut free. 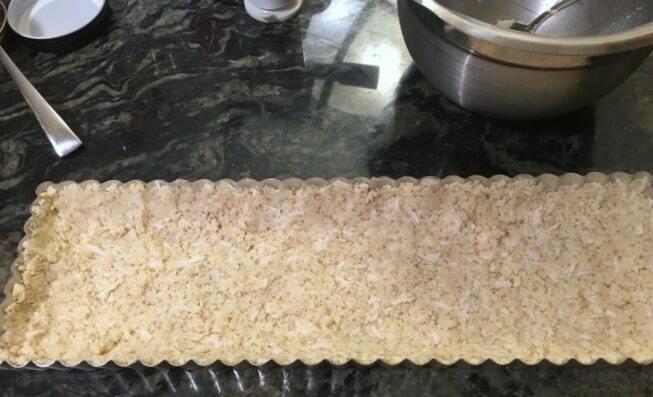 Use my popular gluten free nut free tart crust recipe. What Kind of Apples Are Best For This Apple Tart Recipe? My favorite apples are tart apples. Think Granny Smith, Pink Lady, Honey Crisp, and Braeburn to list a few. 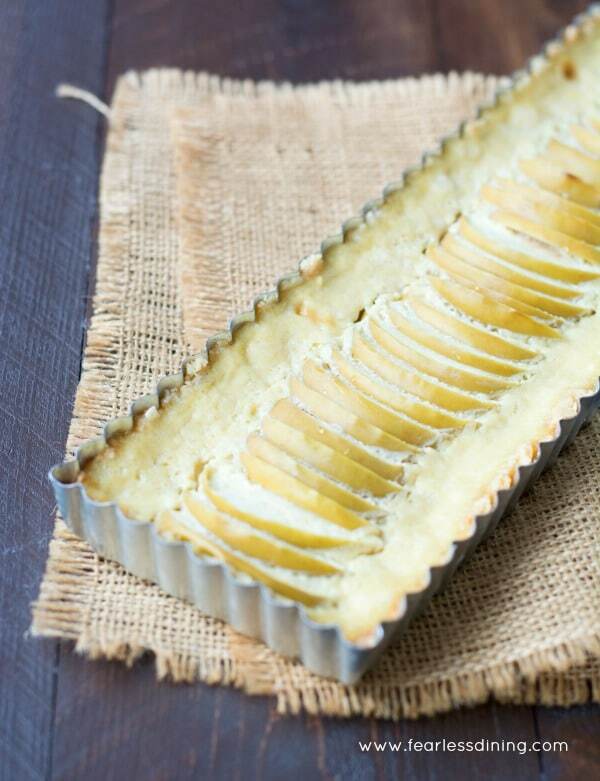 This tart pan is perfect because the bottom comes out, making it very easy to get your tart out of the pan without sticking. Almond flour is the primary ingredient in the crust, which adds a great boost of protein!! 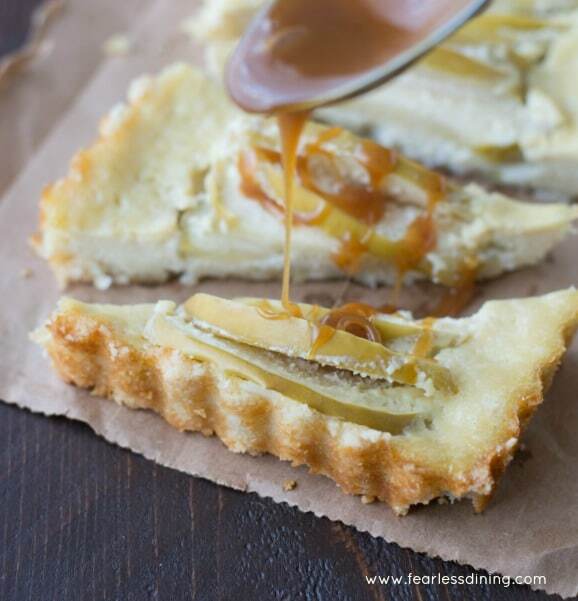 Deliciously easy gluten free vanilla custard caramel apple tart recipe. In a small bowl, add the first 3 ingredients. Mix well. Add in the coconut oil and mix. Spray coconut oil in a tart pan. Pour the crust mix in the tart pan and spread out and press down to flatten all along the bottom and sides of the tart pan. In a saucepan, add milk, vanilla, and egg yolks. Cook on medium low heat for 8 minutes. 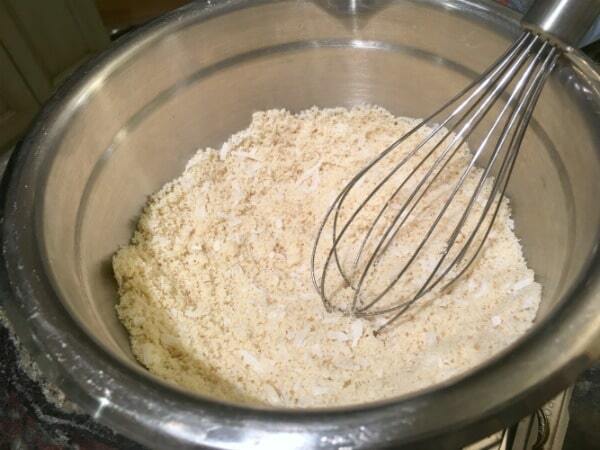 Add tapioca starch and whisk to blend. Remove from the oven and place on a cooling rack. Drizzle caramel on top. Say you made the most of those apples! And that drizzle…..oooh!!! Looks amazing! Thank you so much Debra, I love any dessert with apples :-). I think I’m going to have to invest in one of those tart pans! What a beautiful tart! You just can’t beat the flavors of caramel and apple. I love how this is gluten free! 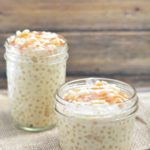 This recipe is amazing and a must-try! Can I make the custard with any other type of milk because I can’t tolerate dairy? I love the idea of adding shredded coconut to the crust! Caramel, apple, coconut and custard?! Yep, you’ve pretty much forever got my heart. I have to try this out when I have some time to bake over the holidays! This looks absolutely gorgeous! 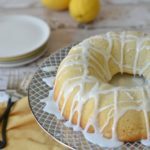 Love this recipe with a passion! Oh my goodness, this looks absolutely scrumptious! 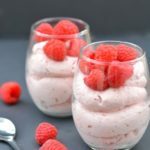 Way to take a snafu and turn it into a stunning (drool-worthy is right) dessert! Wow that looks absolutely delicious!! 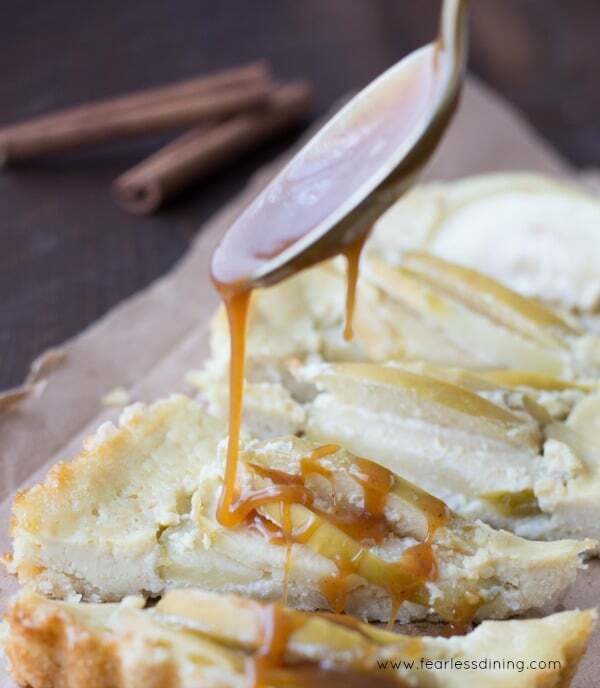 And my husband loves any kind of apple dessert so I know this one would be a winner in our house!